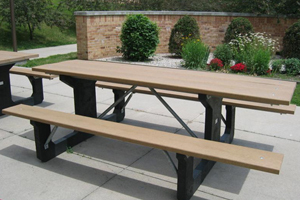 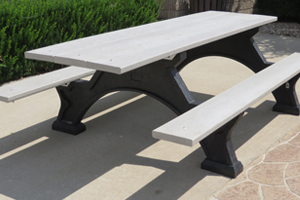 Picnic tables are a great way to enhance outdoor or indoor places where people gather … public parks, campgrounds, swimming pools, schools, businesses, malls, patios, cafeterias. 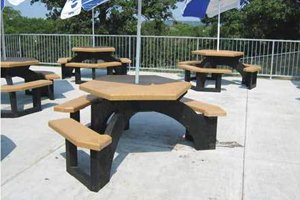 All of our ADA accessible picnic tables are designed and built for public and commercial use, and meet the ADA guidelines for knee and toe clearances. 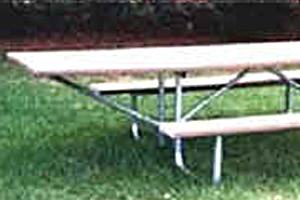 We have four models available.